Cast Away from Knit Collage is a tantalizing thick-and-thin yarn with exquisite texture. Don't expect to find the usual Knit Collage sparkles and doodads in this one, however! Instead, find yourself entranced by the earthy, heathered tones - each a perfect blend of neutrals mixed with bright pops of color. This chunky yarn knits up quickly on US sizes 11-15, making it an ideal choice for textured hats and shawls with whimsical flair! Knit Collage Wanderlust Yarn is a similar yarn: 100% wool, hand wash, and 100% wool. You may also like Berroco Ultra Alpaca Chunky Yarn, which is another similar yarn: hand wash, bulky (12-15 sts/4 in), 100 gram. What about yarn that have the same look and feel? 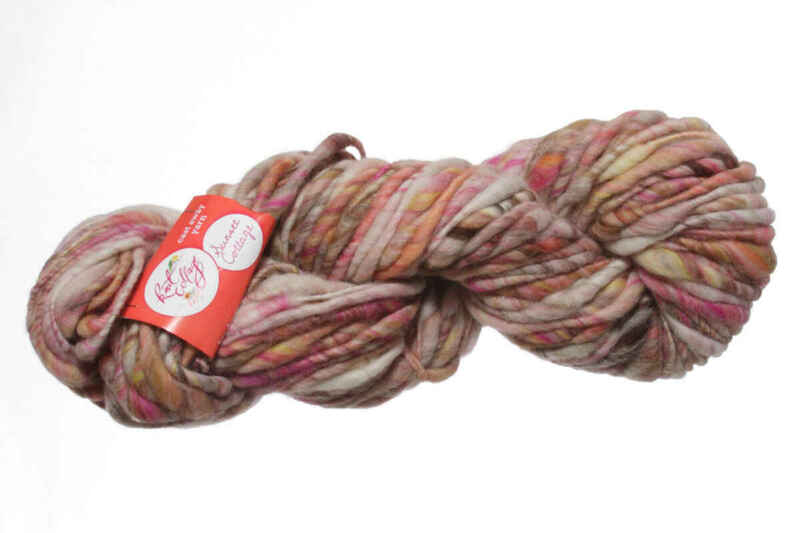 Find more yarn that is fair trade and ethically sourced, and a thick and thin texture. You may enjoy taking a look at the Knit Collage Cast Away Snow Bunny Cable Hat, and Knit Collage Cast Away Holiday Stocking kits all using Knit Collage Cast Away Yarn. Hopefully our suggested project ideas for Knit Collage Cast Away Yarn can help you come up with your next exciting new project idea!